There are few emails the British dread more than that post-holiday mobile phone statement, where we discover what little cash we had left will be consumed by those nasty mobile roaming charges. However, the financial pain of staying in touch with friends and family while vacationing in the EU will hopefully be over by the time you and yours jet off for warmer climes in the summer of 2014. The EU has voted to fast-track plans to completely scrap roaming charges across the continent, allowing travellers to use their mobile phones for the same price as they do in Blighty. 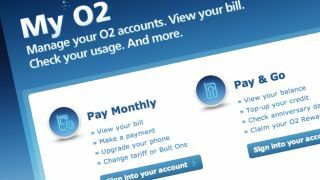 Under the new plans, the Telegraph reports, calls, texts and internet access will not cost any extra, although it's not totally clear at this stage if EU usage will count as part of the users' monthly allowances. However, before you get all "Awww, thanks Europe!" the idea behind the scheme isn't to benefit us humble consumers, but more to encourage more competition, alliances and mergers between mobile networks. The EU hopes that regional networks will form alliances similar to how airlines have come together in order to form fewer, but stronger super networks. Those larger companies will be able to invest more in future infrastructure, including the roll-out of next-generation mobile speeds.